CBS reports that the number of trampoline park deaths and injuries is on the rise as trampoline parks soar in popularity. According to statistics from the Consumer Product Safety Commission, the number of trampoline park injuries necessitating an emergency-room visit has increased 720% since 2013. According to Scientific American, the majority of injuries were children 6 to 17 years of age. The most common type of injuries were sprains and broken bones, reports SA. Parents of children injured at a trampoline park may feel guilty for letting their kids play there, but the park may be liable for having unsafe premises. 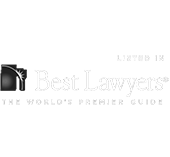 Contract a personal injury lawyer to learn more.